1. City mentioned in the vision of Ezekiel (Ezek. xlvii. 19) as one terminus of the southern boundary-line of Canaan, which extended thence through Meriboth-kadesh to the Mediterranean. According to Ezek. xlviii. 28, moreover, this entire district was to belong to the tribe of Gad. A comparison of this boundary-line with that given in Num. xxxiv. 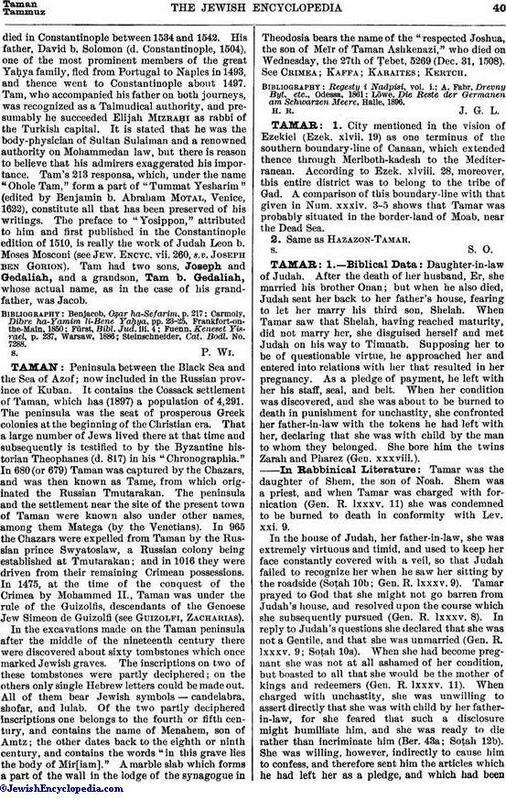 3-5 shows that Tamar was probably situated in the border-land of Moab, near the Dead Sea.